23 Nov 2016 --- The latest addition to the Gerkens cocoa powder range from Cargill is an intense dark red cocoa powder – with unique colour attributes that make it the only powder of its kind on the market. Produced as a result of a Research & Development (R&D) breakthrough by Gerkens technical specialists at the Gresik cocoa processing facility in Indonesia, and exemplifying Gerkens end-to-end innovation capabilities, this new cocoa powder is the latest Gerkens development driving innovation in food ingredients and applications. 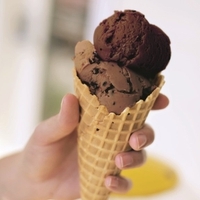 Gerkens dark intense red cocoa powder is ideally positioned for chocolate ice cream, drink and dessert applications which reflect the premium trend towards intense rich colors and flavors, as well as the use of contrasting colors and multiple chocolate shades. Gerkens cocoa powder innovation is backed by a dedicated R&D center for cocoa at Wormer in The Netherlands, with over 100 varieties of cocoa powder produced as a result of its work. Linked to this R&D center are a wider global network of application centers and development facilities across five continents, home to scientists and technologists, undertaking research on emerging trends, supported by the knowledge and expertise of food scientists, nutritional experts, and technicians from different sectors. More than simply a food ingredients supplier, Cargill deeply understands our customers' strategies, consumers, distribution channels and competition. We deliver solutions that help the food industry and beverage manufacturers drive growth through new product innovation and reformulation. Cargill helps reduce costs through supply chain and manufacturing process efficiency and managing commodity price risk. Cargill helps our food industry and beverage manufacturing customers create unique products that fill product pipelines and reduce time-to-market by connecting our diverse food ingredients supplier capabilities — marketers, research scientist, application experts, risk managers and manufacturing process engineers — and seamlessly delivering these resources to customers. As a service and solution-oriented food ingredients supplier, our broad portfolio helps our customers address their food product development needs across the spectrum of applications and categories. Cargill helps our customers safely manufacture products every day around the world by reliably originating and distributing grain, oilseeds and other food ingredient commodities and by processing a diverse food ingredients supplier portfolio that spans core and specialty ingredients, ingredient systems and finished food systems.